Fans waiting to hear Stevie Stone’s Strange Music debut album, Rollin’ Stone, may just be in for a big surprise from the Damn Fool himself, Big Scoob. While Stevie Stone works towards putting the finishing touches on his highly anticipated release, fans continue to build a buzz online thanks to updates like the exclusive sneak preview that was released earlier this month. Recently, Stevie Stone once again gave fans something to look forward to when he and Big Scoob jumped on Twitter to confirm a brand new collaboration. Fans may recall that Big Scoob has been planning a return to music in 2012 and this new collaboration could be a sign of what to expect on Rollin’ Stone. With much of the Strange Music roster heading out for Tech N9ne’s “Hostile Takeover 2012” Tour, Strangeland can expect to see much more of Stevie Stone. Do you think the collaboration will appear on Rollin’ Stone? 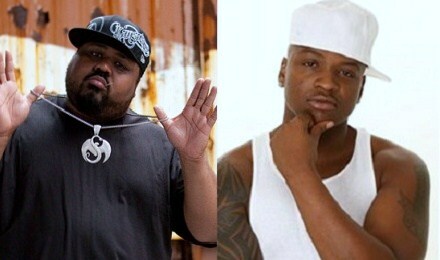 Are you excited to hear Big Scoob and Stevie Stone on the same track?